There's a new talk from the awesome Steve Sanderson on the new Blazor framework available on YouTube. 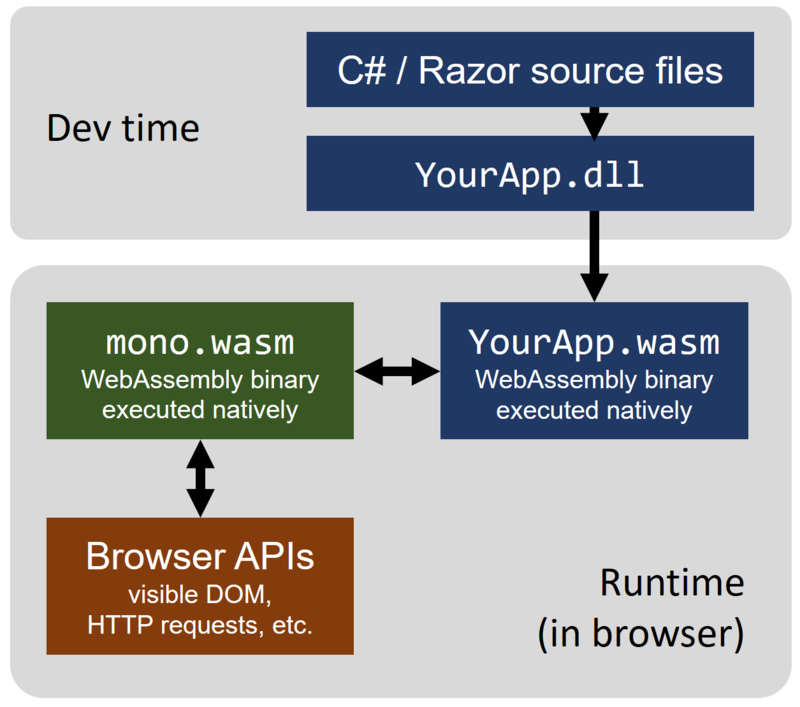 For those who don't know Blazor, it's a Full-stack web development with C# and WebAssembly. It's an experimental project exploring what would be building .Net applications using the .Net framework and C# that run in the browser using WebAssembly. I've been following Blazor and am very excited with the direction the project is taking and following it very closely. Hope this project matures enough and gets incorporate in the .Net Core framework on the next release. Steve Sanderson describes on Blazor: a technical introduction details about the Blazor Framework that are worth reading. Basically we'll have two modes: interpreted and ahead-of time. Take a look at the differences below. 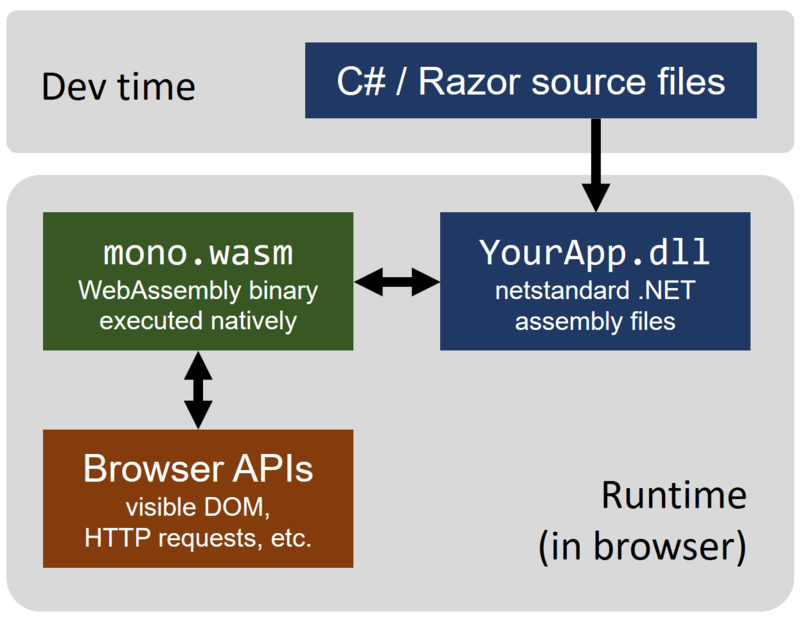 In interpreted mode, the runtime is compiled to WebAssembly, but the .NET assembly files are not. The browser then load and execute the runtime, which loads and execute s standard .NET assemblies built by the normal .NET build tools. The full blazor presentation is available on YouTube. I encourage you to watch it.